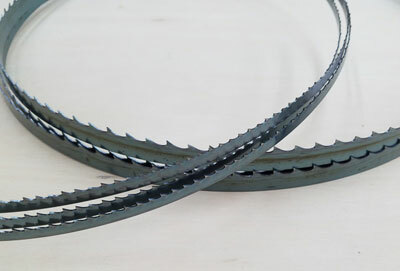 Recently, Jeff Fleisher took a closer look at Highland Woodworking’s General Purpose Bandsaw Blades, a great, excellent all-round blade choice, available in a variety of widths, lengths and tooth patterns. The General-Purpose Bandsaw Blades from Highland Woodworking provide an excellent, everyday blade for your bandsaw. The carbon steel blade is sharp right out the box and for the average bandsaw user they will give you excellent results. They obviously won’t keep an edge as long as a carbide tipped blade but at the very low price point for these blades it is very easy to replace them when they eventually get dull.